Subject: Should I Invest in the Pinterest IPO? Similar to Uber and Lyft, the Pinterest IPO is the latest startup “unicorn” to make Wall Street jump with excitement. And even though Pinterest shows potential, we cannot recommend buying its stock at the IPO. However, there are just too many red flags for retail investors to get excited. 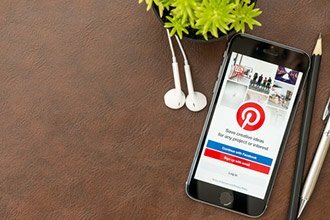 Founded in 2010, Pinterest is a social media site that encourages users to share and post images based on their interests. The users are known as “pinners,” and when they like a photo they see, they “pin” and add it to their collection of images. The collections, also known as “boards,” are organized spaces for a pinners’ saved and shared images. It’s like if an online scrapbook had a child with social media. But instead of character limits and status posts, it’s meant for users to browse images about home improvement, interior decorating, recipes, wedding planning, fashion, and crafts. The site is completely free to use, but you need an account to get moving. Luckily, Pinterest makes this simple by allowing you to integrate your Google and Facebook Inc. (NASDAQ: FB) logins. While Pinterest is simple and fun to use, it’s also not without competitors. The largest and most obvious ones are Facebook, Instagram, and Twitter. However, there are others like Houzz and Allrecipes. Stacked up against Facebook’s 2.3 billion users, Pinterest has a comparatively smaller user base of 265 million. Thankfully, Pinterest doesn’t have to worry about some of the negative press other tech companies are facing. For the last year, Facebook has been dealing with privacy concerns. And Uber has had a long string of scandals in the last two years as well. Beyond that, the company has a growing user base that has gone up 22% since 2016. Its revenue is growing, too. It jumped 60% between 2017’s $473 million and 2018’s $756 million. The company’s private valuation has also reached an estimated $12 billion after receiving $1.5 billion in funding. And some of its biggest private shareholders include Valiant Capital Management, Andreessen Horowitz, FirstMark Capital, Fidelity Investments, and Bessemer Venture Partners. However, the company hasn’t provided a price range or goal for the Pinterest IPO launch. Pinterest is much more than a scrapbooking site. It’s more of an informational site than anything. The pictures are there to represent the underlying information in most cases. I have pins on a variety of subject matter….. everything from “IBS” to “Mental Health” to“How to Make Yogurt in the Instant Pot.” I use Pinterest NUMEROUS times a day. I feel the site is misrepresented in the article. Once I started using Pinterest it is become as necessary as Google to me.